Everyone loves milk & cookies right? 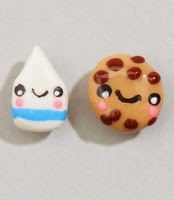 these adorable earrings are handmade and are so cute, Just a shame they aren't edible!!! OMNOMNOM you can find them here !